Tanya K. Streit received a Bachelor of Arts degree in Economics and Political Science from the University of California at Santa Barbara, earning the distinction of High Honors. As an undergraduate, she studied abroad at Cambridge University, England and at Georg-August Universitaet in Goettingen, Germany. Tanya went on to receive a scholarship to the University of San Diego, where she graduated with a Juris Doctorate degree from the School of Law in 1999. Tanya further earned a Masters of Business Administration from the School of Business in 2000. Tanya moved to Texas in 2004 with her husband and three children. 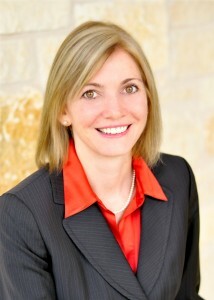 She is a member of the Texas State Bar Association, the Travis County and Williamson County Bar Associations, the Austin Bar Association, WealthCounsel and ElderCounsel. Tanya’s previous law practice experience includes contract and landlord-tenant litigation. Tanya currently enjoys providing her clients with personalized service in the areas of Business/Contract Law, Estate Planning, Elder Law and Probate.